Its no secret I have been trying to lose weight and have struggled quite a bit over the last year with my weights fluctuation. But recently I feel so blessed to have a few family members who genuinely care enough to get involved! My family like many has been through some major disagreements but still there are several of us cousins who refuse to let our parents issues become our issues. One of those amazing cousins AND friends has been Amanda. About two months ago Amanda contacted me in hopes of helping me figure out all these weight issues. Back in April 2012 she began working with the company Herbal Life as a fitness coach. After working with tons of others as well as losing the weight herself she thought it would be a great idea to give the product a try. I immediately jumped on board as I had yet to try this program and was thinking maybe it was about time. 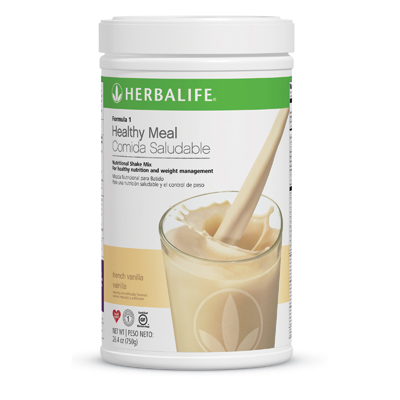 I've never been a big believer in meal replacement shakes for weight loss but Herbal Life doesn't believe you should use these as a meal replacement but as a compliment to your diet. We immediately sat down and discussed what I was eating and what I SHOULD be eating. She helped guide me with minute changes that would make all the difference but I'd barely notice I changed a thing. This is the kind of help I have really struggled with and needed the most. I love to eat and am not willing to give some of the foods up. Instead Amanda showed me how to eat the foods I want at the right times complimenting other foods in order to better help me lose. Right from the start, Amanda set me up with Formula 1 Nutritional Shake Mix (Cafe Latte), Formula 3 Cell Activator®, Formula 2 Multivitamin Complex, and an Herbal Tea Concentrate. Now I've tried protein shakes before but always used them as a meal replacement which has never worked. I always find myself hungry within an hour of drinking one. This time (based on Amanda's suggestion), I made them to compliment my smaller portioned meals. This way they gave me the energy I needed to for a few hours as well as filling me up without loading me full of calories. For instance, for breakfast I would eat 2 eggs (hard boiled or scrambled), maybe a piece or two of turkey bacon, and then a shake. I LOVED mixing my shake mix in with a cup of coffee and putting it on ice! This way I avoided any sugar or cream but still had one yummy iced coffee to drink in the morning! The shakes have up to 20 essential vitamins, minerals and nutrients and come in seven flavors. Along with my shakes I would take 1 of both Formula 3 Cell Activator® and Formula 2 Multivitamin Complex. The Formula 3 Cell Activator "supports the body’s absorption of micronutrients and promotes cellular energy production." Meaning it provides your body with the means to absorb more and create its own natural energy! 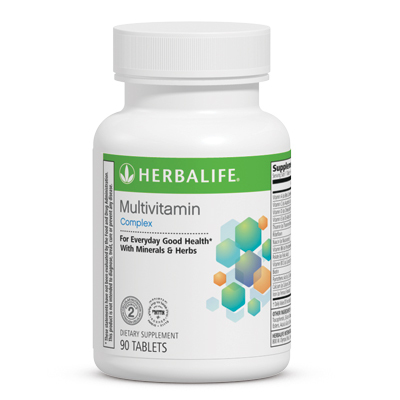 The Formula 2 Multivitamin Complex of course has a similar affect by providing your body with the essential nutrients it needs in order to stay healthy as well as to help with maintaining a healthy and consistent weight-loss. The Herbal Tea Concentrate is a low in calories alternative to all those energy drinks and sodas. Amanda recommended I premix this the night before so it would have less of a bitter taste to it so I did exactly that. I thought it had a refreshing taste and although I cannot be positive I felt as if I had more energy without the shakes after drinking this! It was nice to have something other than water to drink while dieting. I felt all around better and not only did I feel more regular in the digestive areas but my skin felt healthier the more regularly I kept on the Herbal Life Plan. I may not be down in weight or inches at least according to my goals, but I feel great and I feel as though I have someone in my corner which I can depend on anytime throughout this process! "Over the past year and a half I’ve been building my own health and wellness program after noticing the manner in which I approach total health and wellness – REALLY gets life changing results. My relationship with health and wellness has been evolving since childhood; I played division 2 women’s rugby, was a cheerleading coach for 7 years, cheerleader for 11 years, race car driver for 8 years, and am finishing my master’s in bio-medical engineering with a concentration in injury/sports biomechanics. As a health and wellness coach I am a firm believer of 80% nutrition, 20% fitness, and 100% mindset. I work with my clients to build a personalized meal plan for their health goal, whether it is weight loss, muscle gain, or just getting healthy. Then we will go over a fitness plan that fits their schedule and level. From there I help them get into the correct mindset. Empowering the mind and soul will keep clients going through any obstacle. As a coach I cannot force my clients to do the meal/fitness plans but I can inspire them and guide them in the direction of self-motivation so that they can reach any goal. I provide free health and wellness evaluations that include sample meal plans and a body scan. I feel EVERYBODY should have the information to create a healthy lifestyle whether or not they want me to coach them. I also run free boot camps for anyone in the Metro Detroit area. My mission is to share knowledge of health and wellness to everyone because I am a firm believer that most diseases and medical bills come from issues that can be prevented by creating a healthier lifestyle. I will be starting weight loss challenges, women’s empowerment groups, and a clean eating cooking class. I am always looking for anyway to expand the impact of health and wellness to the community. My goal is to become a fitness model and to empower anyone who thinks they just can’t do it because we all can achieve anything we set our mind to. I also believe that people should never judge based on an appearance or feature which they were been born with because it is NOT who you are. I want to show the world this IS possible. I will do this by treating others with the utmost respect and reaching out a hand to anyone and accomplishing anything I set my mind to. People should never give up on their dreams no matter how unlikely they may be. I want to inspire people to become the change they would like to see in life." Recommendation: Now there are several package options which will obviously help reduce these costs. I do think this is an expensive treatment which isn't for everyone but again the more frequently you buy as well as the more you buy the better pricing you are going to get. However I DO recommend trying it at least once as the way your body feels internally is worth it. Giveaway: Health and Fitness Coach Amanda Luba is going to give one of A Lucky Ladybug's lucky readers 2 Herbal Life Shakes (Flavor of Choice), 1 Bottle Cell Activator, 1 Bottle Energizing Herbal Tea + 1 Month Online Nutrition and Fitness Coaching of their own! I would love to learn to eat healthy and manage my diabetes! i am looking for products/supplements to help my bowels. i have suffered from c difficile for over three months now following surgery. i need to repopulate the good bacteria in my gut and to just rebuild my strength after being sick for so long. thanks for such a truly useful giveaway! I'm looking to get overall healthier, get fit & tone up my muscles. I would like to lose weight so I can feel healthy again! I need a cheerleader and someone who will hold me accountable. I am a Health Coach and know what to do, but somehow it just doesn't get done. I would love to be coached, and have that experience so I can be a better coach to others. I am trying to increase my energy level and lower my BMI. I would like to lose weight and have more energy. I want to lose weight while maintaining what muscle mass (not much) that I have and manage my Type I diabetes. I struggle with staying on an even keel BSL-wise and struggle with mad, mad cravings. I could use to lose a few pounds after breaking a bone in my foot and need to get back and exercise like before. I would to make a healthier meal plan so I could lose weight and have more energy. I need to lose weight, get healthy, get my blood pressure and cholestrol under control. Tired of being unhealthy. I've just started taking supplements and I'd like to learn more about exactly what I should be taking, and when, and with what food, etc. Health and fitness is very important to me. I'm looking for something that can add some nutrition and maybe a little energy and help me lose weight. I want too loose weight have toner healthier skin and more energy/ Feel my age instead of so much older. I want to trim my waist area and eat healthier in order to look and feel better! I suffer from RA and fibromyalgia and the related IBS. Honestly, my goal at this point is to just feel somewhat human again, and I feel like moving away from pharmaceuticals is the way to go. I would like to reduce my weight and increase my muscle mass. I know that I need nutrients and protein. I am hoping that this would help kick start me into getting into shape. I suffer from RA,fibromyalgia, and IBS. I would love to find a way to move away from pharmaceutical treatment as much as possible. I'm looking forward to losing weight and getting healthier and more energy. I want to try this so much! I am desperate to lose weight and get my life back, I have fibromyalgia and am so irregular that I may go to the bathroom twice a month....I always wanted to try but its been too expensive, thank you so much for the offer! i want to lose 10-15 pounds and get in really good shape. i need to be healthy so i can live a long and healthy life with my family! help with loosing weight. My husband worries me with him being overweight. I know the dangers obesity can lead to and I hope to find a way to assist him in loosing the weight. I would like Amanda to help me with getting more rest. There are good healthy tips. We all are starts our day with lots of water. Morning breakfast is necessary for our body. Daily sleep 7-8 hours at night.